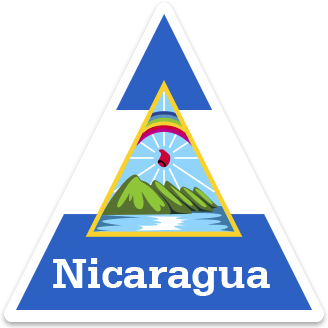 Meriling lives in Nicaragua, Central America. She goes to school in a building that used to be a warehouse. Hopefully, that is all going to change – because of some coffee beans and a bit of teamwork. Meriling’s school is a bit unusual. Read on to find out why. This is Meriling. She lives with her father and mother in a village called La Paz del Tuma. 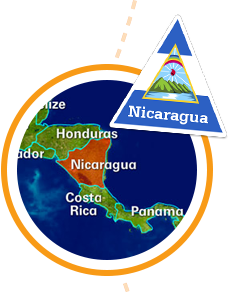 La Paz del Tuma is in the mountains, in a part of Nicaragua called Jinotega. 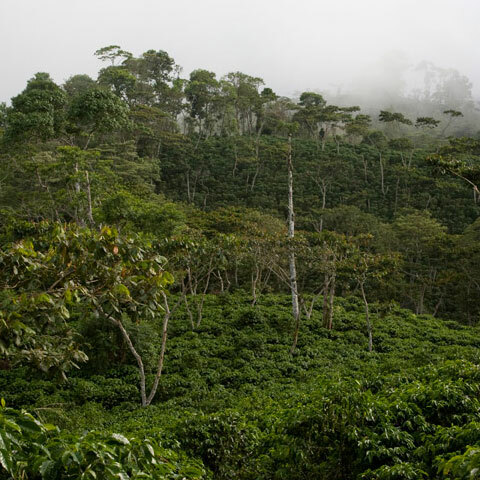 It is known as the coffee capital because lots of coffee grows there and most people work as coffee farmers. 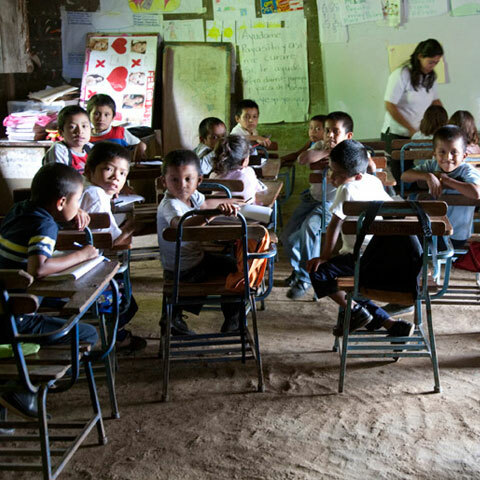 Meriling goes to school in La Paz del Tuma. This is one of the classrooms. As you can see, there are no blackboards or proper floors. There are not enough classrooms for all the children, so some of them have to work outside! They don’t have clean water or toilets either, so they have to ask if they can use nearby houses. In what ways is it different from your school? The children have to do the cleaning themselves at the end of the day. And to make things worse, the school building used to store dangerous chemicals. The parents are worried about this as they don’t know if it might be damaging their children’s health. Do you ever help to clean up your school? 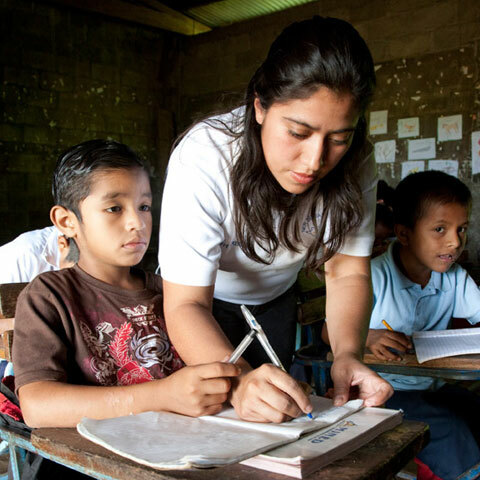 The children’s teacher, Ivette, doesn’t just look after one class, but has to race between classrooms, teaching two classes at the same time. Christian Aid works with an organisation called Soppexcca. Soppexcca lends the coffee farmers money so they can buy more coffee plants and fertiliser. It has trained them in how to produce better coffee that they can sell for more money. 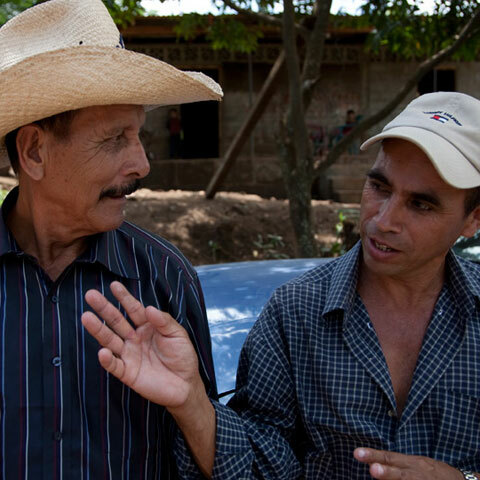 They have also helped the coffee farmers to work together as a ‘cooperative’, sharing equipment and knowledge. 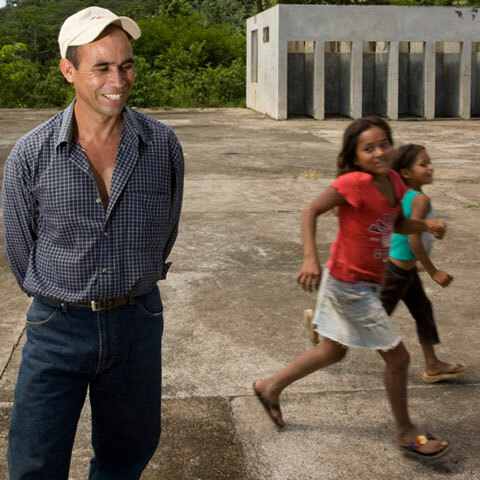 Meriling’s father Eladio believes that if the members of the cooperative work hard together to save up some of the money they are making from selling their coffee at better prices they could build a proper school for the children of La Paz del Tuma. He has even found the spot where he would like to have the new school built, as you can see here!